Keith Mitchell picked up PGA Tour victory No. 1 on Sunday. 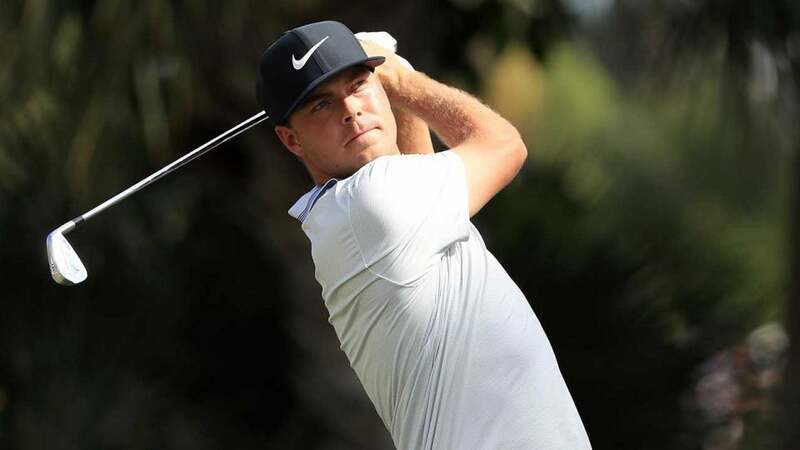 The final hours of The Honda Classic were a blur, as Ryan Palmer set the pace early and Brooks Koepka, Rickie Fowler, Vijay Singh and, eventually, Keith Mitchell, gave chase. Here's what you missed. Who won: Keith Mitchell (three-under 67, nine under overall) How it happened: Wyndham Clark opened the day with a one-shot lead and made the turn tied at the top alongside Palmer. Palmer staked his claim early, going off well before the leaders and shooting 63 to take the clubhouse lead. It was a shootout from there. Lucas Glover (66) birdied the last hole to tie Palmer at seven under, but Koepka (66) birdied two of the final three to get in at eight under. Fowler (67) made birdie on 15, 17 and 18 to tie Koepka and guarantee a playoff, but Mitchell was still in the mix. A 27-year-old who was winless on Tour, Mitchell birdied four of the last seven to win. His final birdie came on 18, when he wedged to 16 feet and sunk his putt. https://twitter.com/PGATOUR/status/1102341013899636736 Why it matters: Mitchell hadn't won on any pro tour until Sunday, and he even did it while bogeying the first two holes. He's now fully exempt through the 2020-21 season. Best performance by a 56-year-old: Vijay Singh started the day a shot off the lead and was still one back on the 17th, but he found the water off the tee and made bogey, derailing his chances. Singh, who shot 70 and finished 6th, was threatening Sam Snead's record as the PGA Tour's oldest winner. Snead was 52 when he won the 1965 Greater Greensboro Open. Up next: The Tour heads to Bay Hill in Orlando, Fla., for the Arnold Palmer Invitational. Rory McIlroy is back to defend his title, but eight-time Bay Hill winner Tiger Woods headlines a field that also includes Phil Mickelson, Brooks Koepka, Jason Day and Bryson DeChambeau. It's the final tune-up before The Players Championship on March 14-17.